T-Mobile today said baseball fans will be able to watch every regular season Major League Baseball game on their smartphones for free. T-Mobile has again partnered with MLB and is providing customers with access to a free year of MLB.TV Premium, which includes MLB.com At Bat Premium. T-Mobile customers can stream every out-of-market regular season game to their Apple or Google smartphone and tablet via the MLB.TV app. 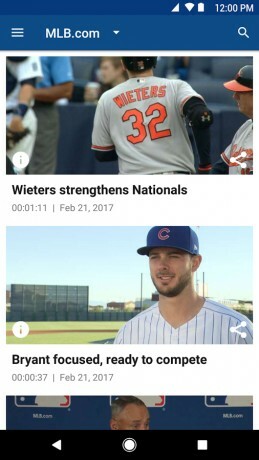 At Bat Premium is a mobile sports app for watching home and away broadcasts, and it also includes player stats, highlights, and other information. T-Mobile One customers don't need to worry about streaming on their plan thanks to unlimited data. T-Mobile says games will be streamed in standard definition by default, but can be viewed in HD if customers wish. The free year-long subscription will available for just 24 hours on April 4. T-Mobile customers will need to redeem the free subscription via the T-Mobile Tuesdays application and then sign up for MLB.TV Premium no later than April 11. T-Mobile made a similar offering to customers last year. YouTube is expanding the features offered to its top creators in an effort to help them put their fan base to use. First, it is adding Channel Memberships.